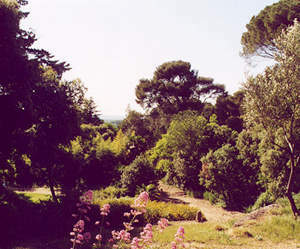 Terral Par : The gardens were planned in 1880 by the garden lover and botany enthusiast Alfred Bouscaren. In the three hectares of the Terral gardens, he created a wonderfully relaxing atmosphere of shade and light; an invitation to wander round and discover what we call in French an ”English garden”, where the stroller can appreciate the bamboo plantation, the nymphaenum, the lily pond and the century-old trees. Since 1989 the gardens have been rejuvenated : development of a”perfume garden” and installation of a watering system, building of rock gardens and planting of many species of flowers and trees, and more recently, the renovation of the ”Terral Barn”. The park is a favourite walk for the local inhabitants and a natural venue for events related to Mediterranean gardens and local life. Saturday, sunday, wednesday, from 2 pm to 6 pm; and schools holidays.